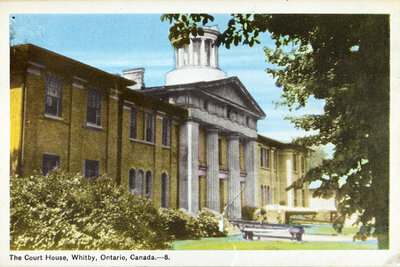 A colour postcard of the Ontario County Courthouse. The creator and date of the postcard is unknown. Bottom left corner: The Court House, Whitby, Ontario, Canada.-8. Ontario County Courthouse, Creator Unknown. Whitby Archives P2013_001_002.